We’re loving watching the French Open at Sport-locker.net HQ – there’s just something special about Roland Garros! And we couldn’t help but notice some of the world’s best tennis players using bright red racquet bags on court. 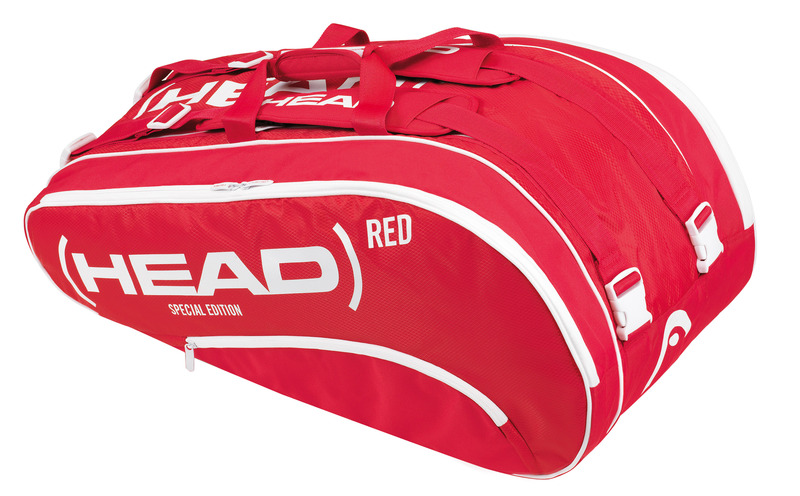 With a little bit of digging we’ve found out that HEAD Tennis has joined (RED) and the fight against AIDS with the launch of a Special Edition bag collection. Partnering to raise both awareness and money for the fight, 40% of the profits from each (HEAD) RED bag sold will go to the Global Fund to fight AIDS. In addition, HEAD asked its stars Maria Sharapova, Novak Djokovic, Andy Murray, Tomas Berdych, Marin Cilic, Gilles Simon and Sloane Stephens to pack their favourite items into one special (HEAD)RED bag which features in the unique viral video above. Furthermore, a bespoke app on www.facebook.com/headtennis gives tennis fans the chance to show their support and win the special (HEAD)RED bag with the personal items and signatures of the HEAD tennis stars. The new (HEAD)RED collection is the latest addition to the range of (RED) products. It includes a tennis racquet bag (RED Monstercombi) and a backpack, which will be available at selected retail stores around the world at the end of May 2013. We love a good cause, so bravo to those who are buying them! What do you think of the HEAD (RED) bags? Let us know in the comments section below or on our Twitter Facebook pages.